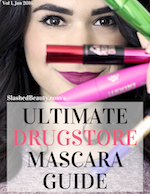 Whether your makeup collection is big or small, the question of how to organize it all is always on the brain. Finding functional yet cute makeup organizers can be a struggle. Luckily, I’ve done some searching for you to create this collection of cute makeup organizers that you can buy on Amazon to dress up— and clean up— your vanity. Some keep your beauty products tucked away, some put them on display. Whatever you choose, these will help bring order to your collection. Click on the photo of the organizer to find the product on Amazon. A great solution for small living spaces, this all-in-one storage and makeup mirror gives you a spot for everything. With smaller vertical compartments for tubes, bottles and brushes, and flat shallow compartments for compacts, everything is laid out for you within reach. If you have a number of palettes that are all different sizes, they can be awkward to store. This palette organizer gives you wide, narrow compartments for you to store and display palettes in front of one another. Tip: Organize them from tallest to shortest to spot the one you’re looking for easily. This tall cart organizer is perfect for makeup lovers with larger collections. 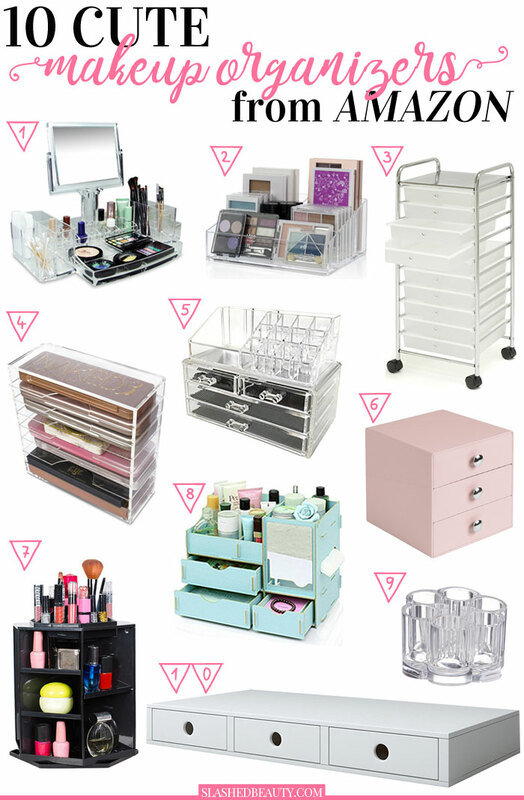 I’ve personally been using these carts since I started blogging, organizing each drawer by product type. They’re easy to assemble and also give you a nice surface area on top for table-top displays or mirrors. This cart comes in several colors to match your style! If you gravitate toward wide and skinny palettes (ie. Naked or Chocolate Bar palettes), this organizer lets you stack them vertically for a visually striking display. If you like the classic acrylic look, this organizer is for you. The top piece has twelve small lipstick-sized compartments and a wide space for bottles or sprays. On the bottom piece, you have four drawers for compacts and other small items. The drawers are lined with removable mesh padding if you want to use it to store jewelry as well. For small collections, or a segment of your collection you want close by, this small three-drawer organizer is great for your desk or vanity. It comes in a huge range of colors and patterns to match your style, with stylish silver knobs. You can buy them individually, or buy sets of 2 or 4 to stack them. Another makeup organizer I personally use, this rotating storage solution is great for small spaces. I have one on my desk with the products I use most often. There are numerous compartments of various sizes for different types of beauty products, including smaller wells on top for lipsticks, pencils or brushes. This makeup organizer comes with a display section on top for larger items, and three drawers for compacts, pencils, hair ties and more. It has a small built-in mirror as well as a hidden tissue dispenser to really maximize space. This wooden organizer does require assembly. This small flower-shaped organizer is perfect for skinny items such as lip glosses, pencils, bobby pins, or brushes. Use it to display your favorites, or keep every day items at arm’s length. This drawer organizer is for the person who can’t give up counter space, since it’s short and gives you a large flat surface area on top to place more items. You can also put a computer on top of it if you share your vanity with your desk! How are you organizing your makeup? I regret so much not getting a rotating organizer I spotted at Ross! It was black I hope to find again. Don’t forget to check at Ross and they are cheap as it gets! Also Marshall’s/TJ Max I have my stash in acrylic ones I bought at Ross and it fits neatly. I better stop buying more since I’m running out of space. ‍♀️ Have everything covered eyeshadows, blushes, highliters, eye pencils, lipsticks! Oh! 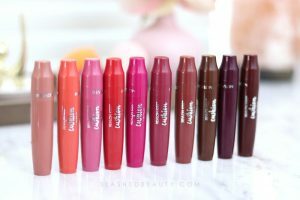 Lipsticks yes! Can’t own enough! Lol! Check out your local Dollar Tree if you have one! I was there over the weekend and they had acrylic makeup/lipstick organizers in the beauty section. I was shocked! 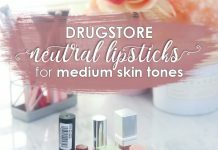 Is the drawers in the cart (3) deep enough for bulkier items such as setting powers , setting sprays , eyeshadow palettes etc? I also worry about how durable they are , if there flimsy an they will warp. I want the IKEA Alex drawers but their not in my price range right now. I love this post. I have number 4 and it’s nice I wish it was bigger kinda. I don’t have a lot space but table top and small shelves. My desk is a nice size one. So I do have it on there. If bigger might be harder. But a would like org everything especially makeup though. Dollar tree had small small org for sale for a while I don’t know if they stock them or not? Hard to tell by my store and trying to stay away right now. Because I’m on a tight budget and I everything is so cute. Those dollars add up. But they don’t always keep things stocked up like I have seen others. Not one anywhere else near. But I love all these ideas. Thanks so much. I love getting smaller organization stuff from the dollar store!! Things like small baskets that can go inside drawers are great to pick up there. Thanks Joyce!